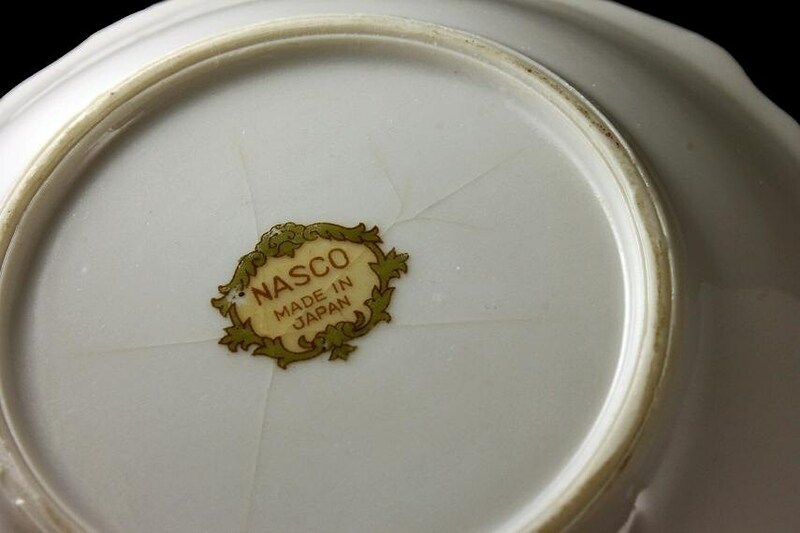 A charming Nasco (Japan) leaf-shaped trinket bowl. 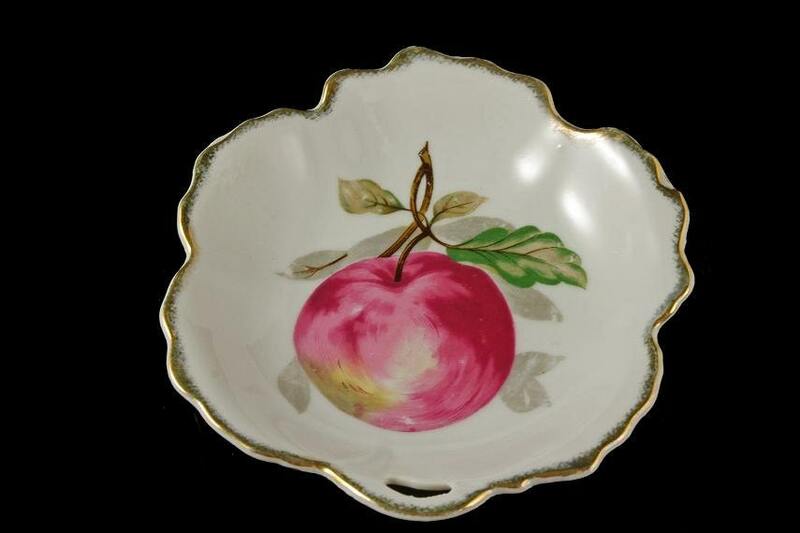 It has an apple design and a gold edging. 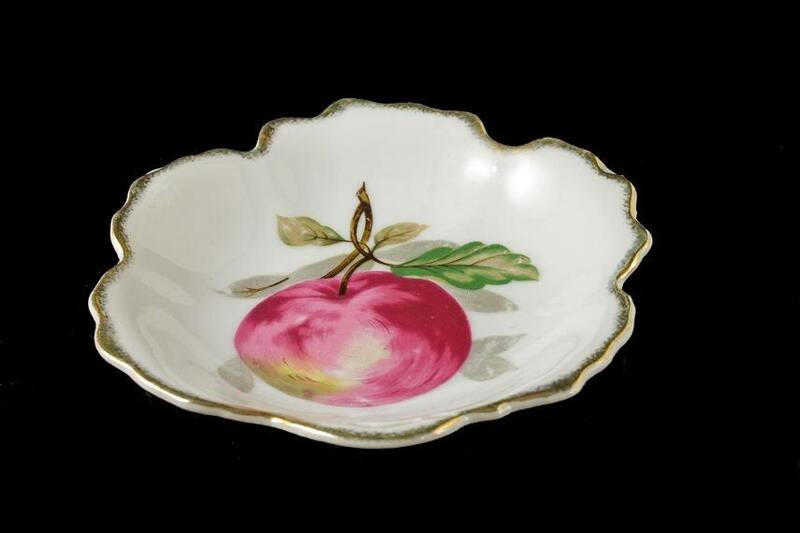 It is very versatile and can be used as a trinket bowl, a candy dish, or nut bowl. It would be a lovely addition to a vanity, coffee table, or buffet. 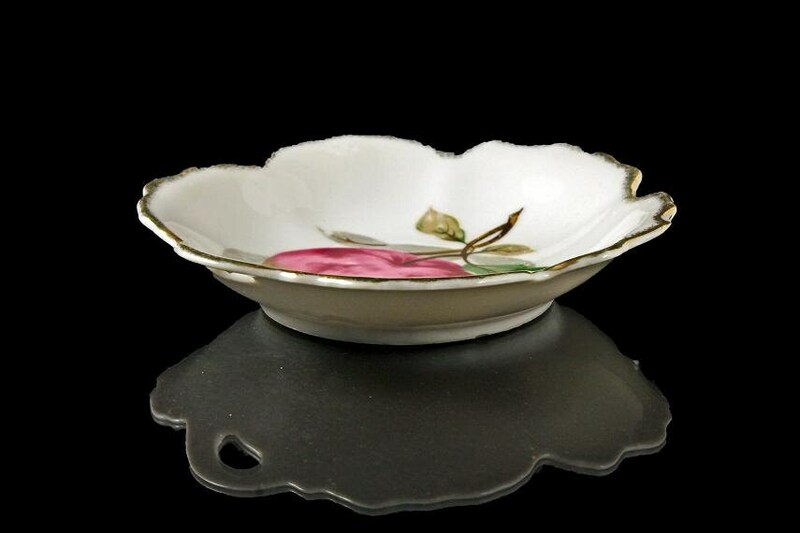 This vintage dish is in great condition. There are no cracks or chips. 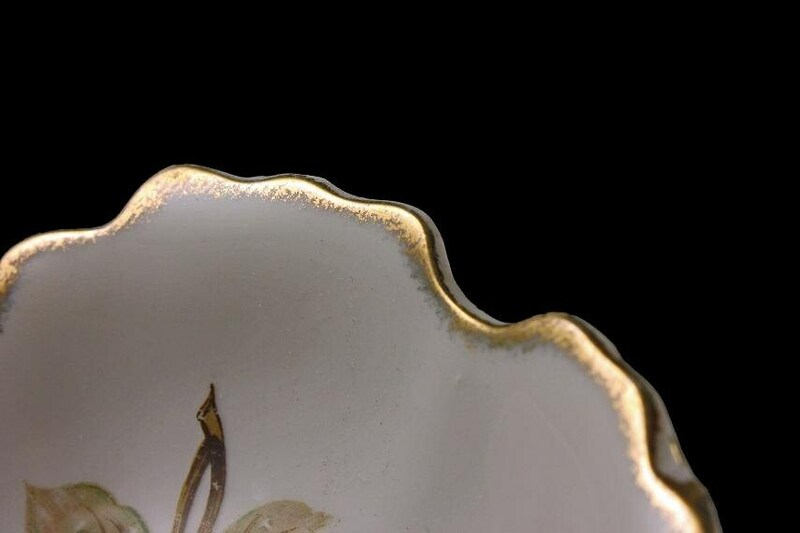 There is some crazing on the bottom of the bowl (See Photo #5).